I think the Fusion-IO is great as a concept. 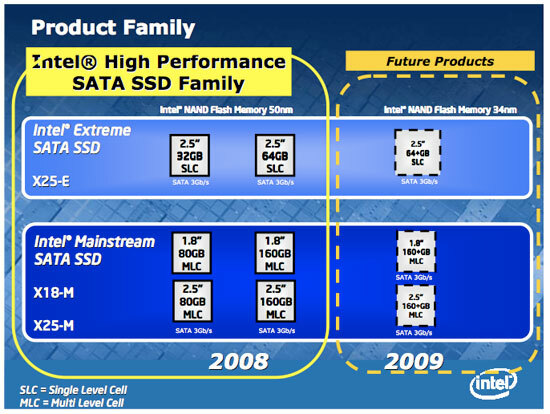 But what we really need is for Intel and/or AMD to start thinking intelligently about SSDs. AMD and Intel need to agree on a standard for an integrated SSD controller. And then create a new open standard for a Flash SSD DIMM socket. Then I could buy a 32 or 64 GB SSD DIMM and plug it into a socket next to my RAM, and have a SUPER-FAST hard drive. 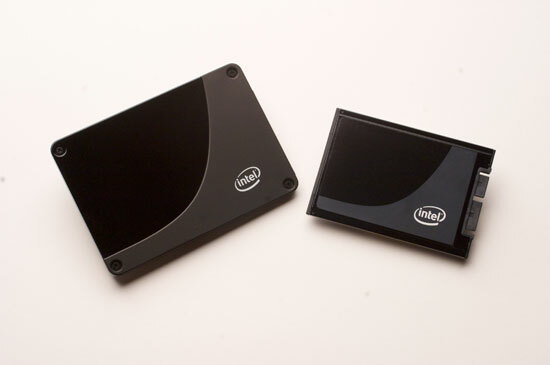 Imagine a SSD DIMM that costs $50 and puts out even better numbers than the Fusion-IO! With economy of scale, it would only cost a few dollers per CPU and a few dollars more for the motherboard. But the performance would shatter the current paradigm. The cost of the DIMMs would be low because there would be no expensive controller on the module, like there is now with flash SSDs. And that is how it should be! There is NO need for a controller on a memory module! How we ended up taking this convoluted route baffles me. It is a fatally flawed design that is always going to be bottlenecked by the SATA interface, no matter how fast it is. The SSD MUST have a direct link to the CPU in order to unleash its true performance potential. This would increase performance so much that if VIA did this with their Nano CPU, they would have an end product that outperforms even Nehalem in real-world everyday PC usage. If you dont believe me, you need to check out the Fusion-IO. With SSD controller integration, you can have Fusion-IO level performance for dirt cheap. Concerning the Vista boottime,I think it'd make more sense to express that in seconds rather than MB/s. I rather have a Windows boot in 38seconds article,than a windows boots with 51MB/s speeds.. That'd be totally useless to me. Also, I had hoped for entry level SSD cards, replacements for mininotebooks rather in the category of sub 150$ drives. On an XP machine, 32GB is more then enough for a mininotebook (8GB has been done before). Mininotebooks cost about $500,and cheap ones below $300. I,as many out there, am not willing to spend $500 on a SSD drive, when the machine costs the same or less. I had hoped maybe a slightly lower performance 40GB SSD drive could be sold for 149$,which is the max price for SSD cards for mini notebooks. 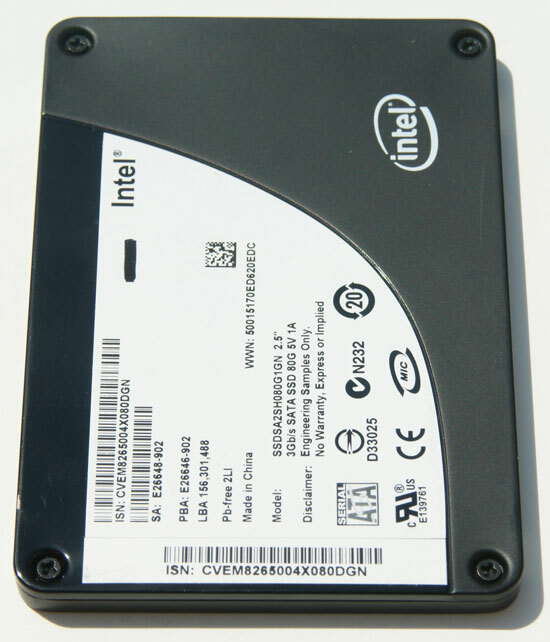 for laptops and normal notebooks drives upto 200-250$ range would be enough for 64-80GB. I don't agree on the '300-400' region being good for SSD drives. Prices are still waaay too high! Ofcourse we're paying a lot of R&D right now,prices should drop 1 year from now. Notebooks with XP should do with drives starting from 64GB,mini notebooks with drives from 32-40GB,and for desktops 160GB is more than enough. In fact, desktops usually have multiple harddrives, and an SSD is only good for netbooks for it's faster speeds, and lower powerconsumption. If you want to benefit from speeds on a desktop,a 60-80GB will more then do, since only the Windows, office applications, anti-virus and personal programs like coreldraw, photoshop, or games need to be on the SSD drive. Downloaded things, movies, mp3 files, all those things that take up space might as well be saved on an external/internal second HD. Besides if you can handle the slightly higher game loadtimes on conventional HD's, many older games already run fine (over 30fps) on full detail, 1900x??? resolution. Installing older games on an SSD doesn't really benefit anyone, apart from the slightly lower loadtimes. Seeing that I'd say for the server market highest speed and largest diskspace-size matter, and occasionally also lowest power consumption matter. For the desktop high to highest speed matters, less focus on diskspace size and power consumption. For the notebooks high speed and lowest power consumption matter, smaller size as compensation for price. For the mininotebook normal speed, and more focus on lower power consumption and lowest pricing matter! Just in case anyone hasn't noticed, these are showing up for sale all over the net in the $625 to $750 range. Using live search, I bought one from teckwave on ebay yesterday for $481.80 after the live search cashback from microsoft. Obviously Intel has greater resources than you guys. No doubt they threw a large number of bodies into write optimizations. But it isnt too hard to figure out what they did. I'm assuming that when the controller is free from reads or writes, that is when it takes the time to actually go and erase a block. The controller probably adds up all the pages that are flagged for erasure, and when it has enough to fill an entire block, then it goes and erases and writes that block. Assuming 4KB pages and 512KB blocks (~150,000 blocks per 80GB device) what Intel must be doing is just writing each page wherever they could shove it. And erasing one block while writing to all those other blocks. (With that many blocks you could do a lot of writing without ever having to wait for one to erase.) And I would go ahead and have the controller acknowledge the data was written once it is all in the buffer. That would free up the drive as far as Windows is concerned. If I was designing one of these devices, I would definately demand as much SRAM as possible. I dont buy that line of bull about Intel not using the SRAM for temporary data storage. That makes no sense. You can take steps to ensure the data is protected, but making use of SRAM is key to greater performance in the future. That is what allows you to put off erasing and writing blocks until the drive is idle. Even a SRAM storage time limit of just one second would add a lot of performance, and the risk of data loss would be negligable.